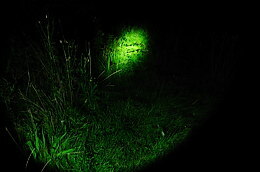 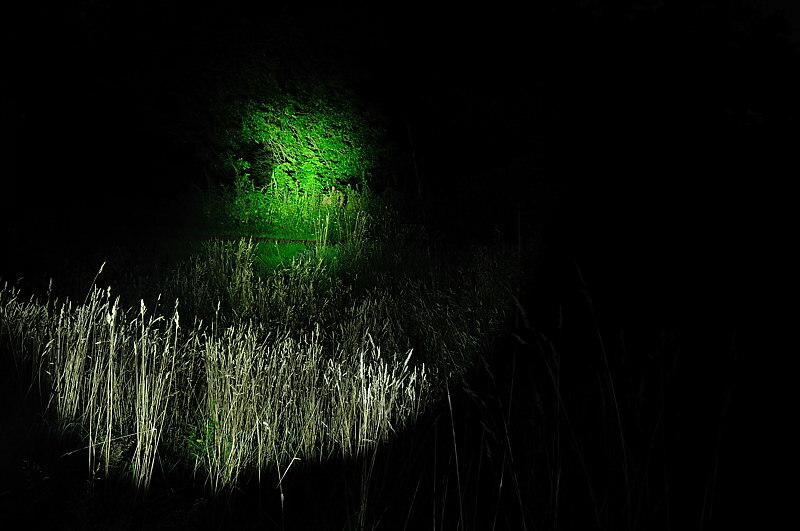 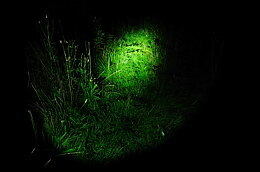 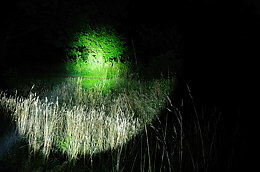 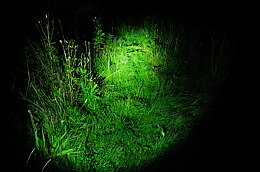 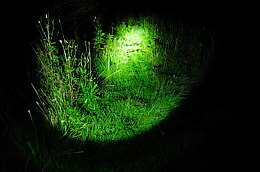 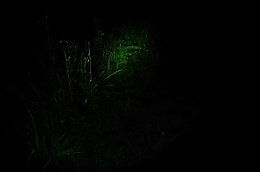 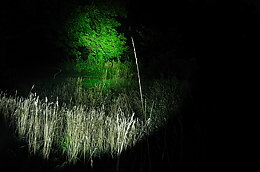 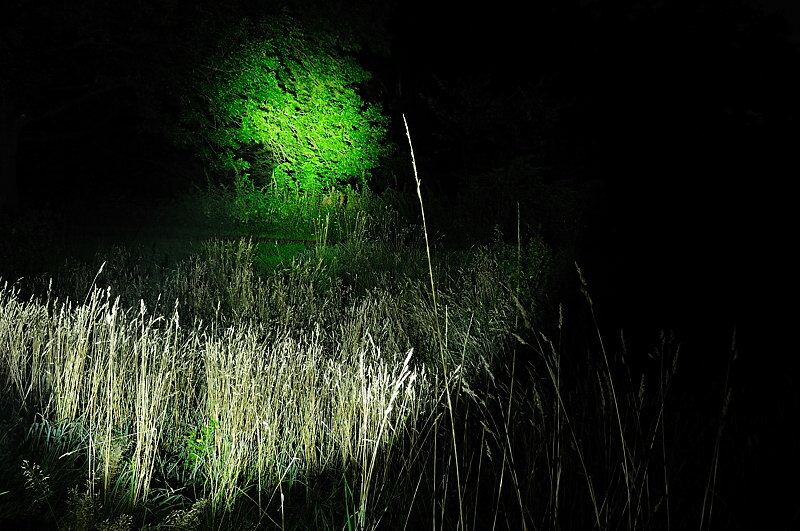 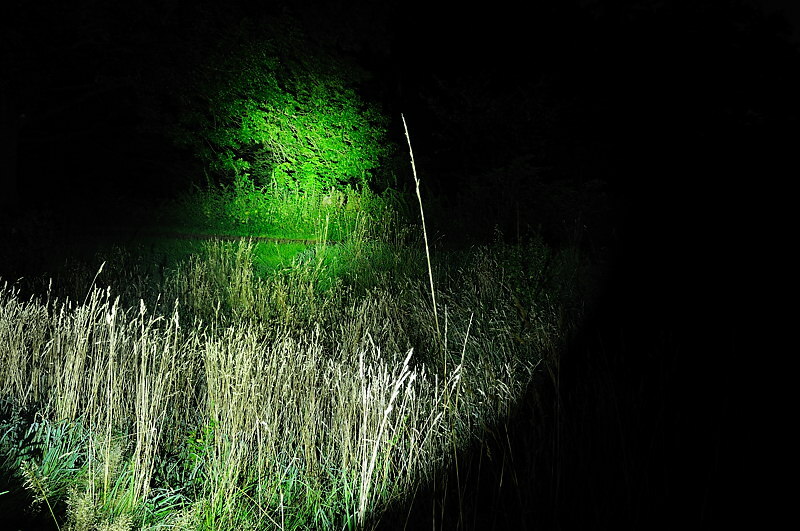 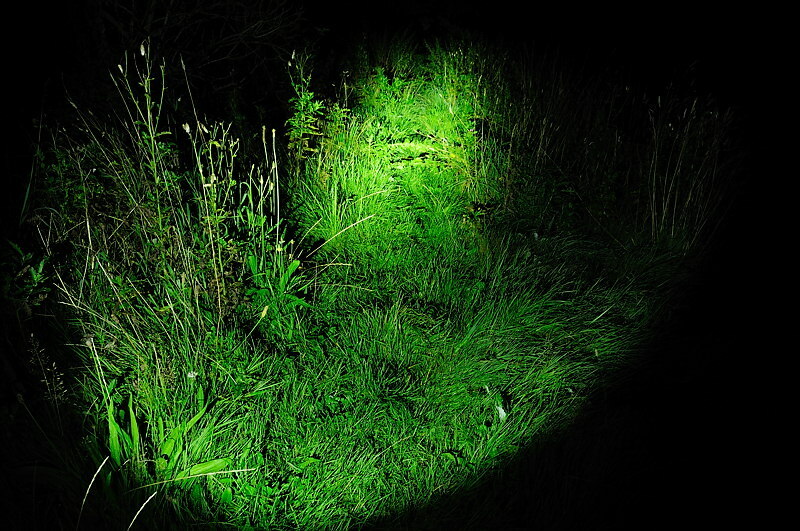 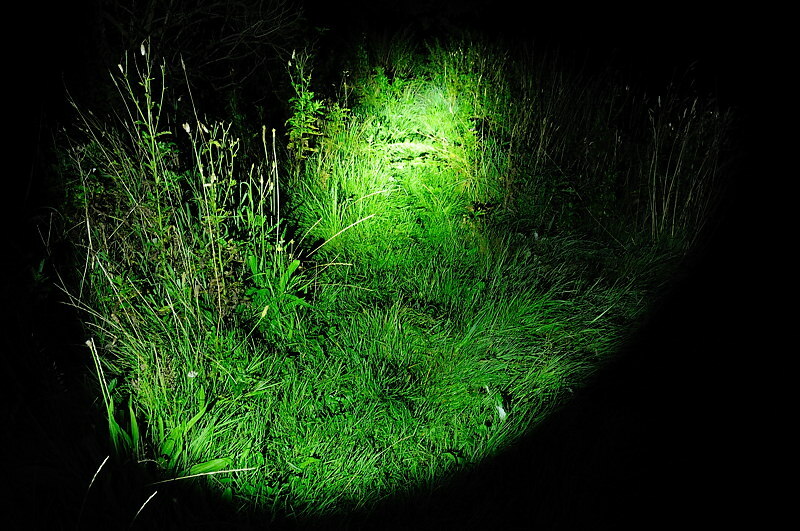 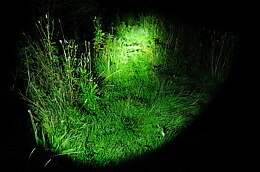 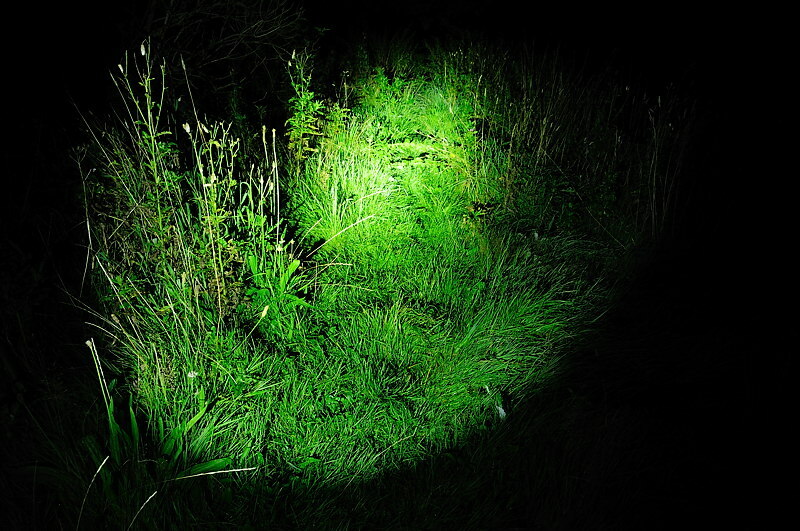 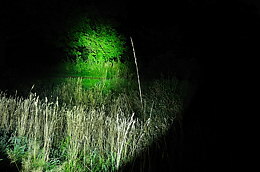 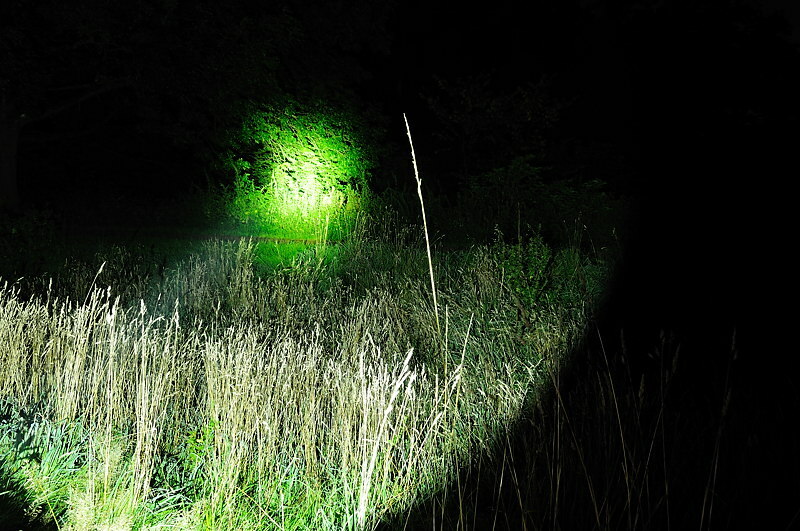 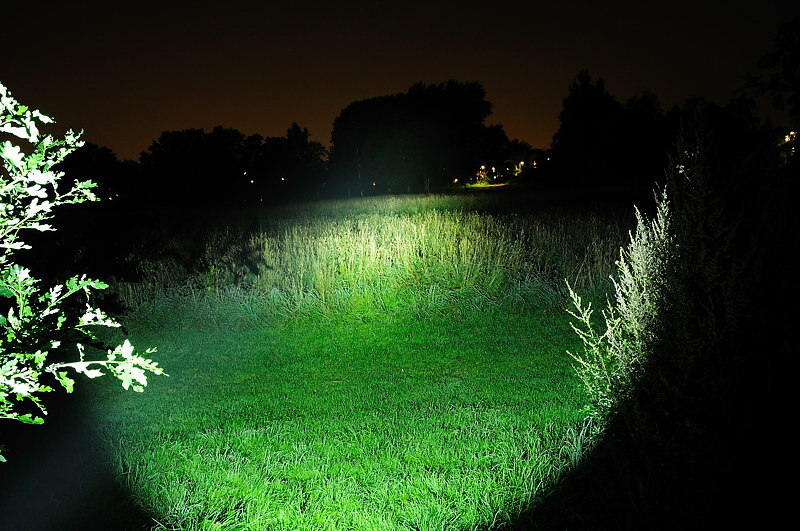 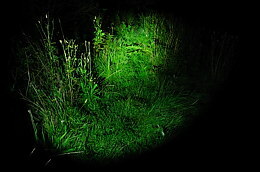 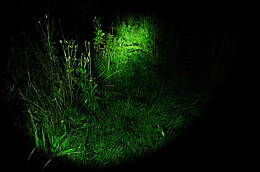 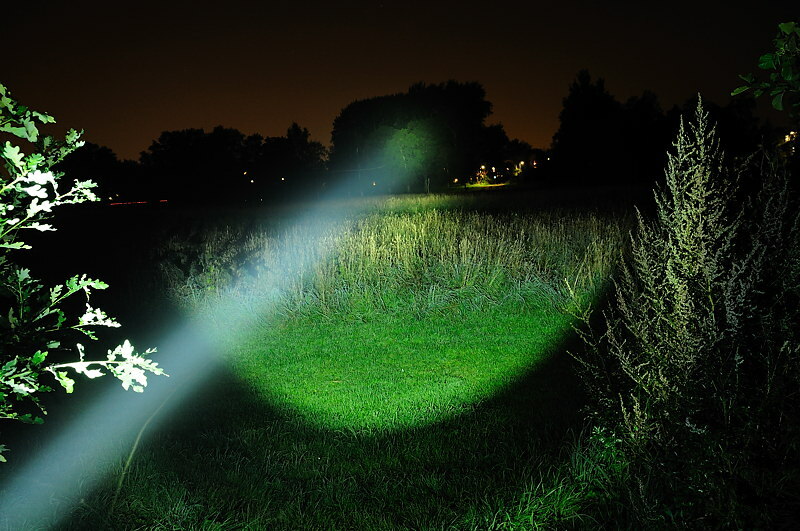 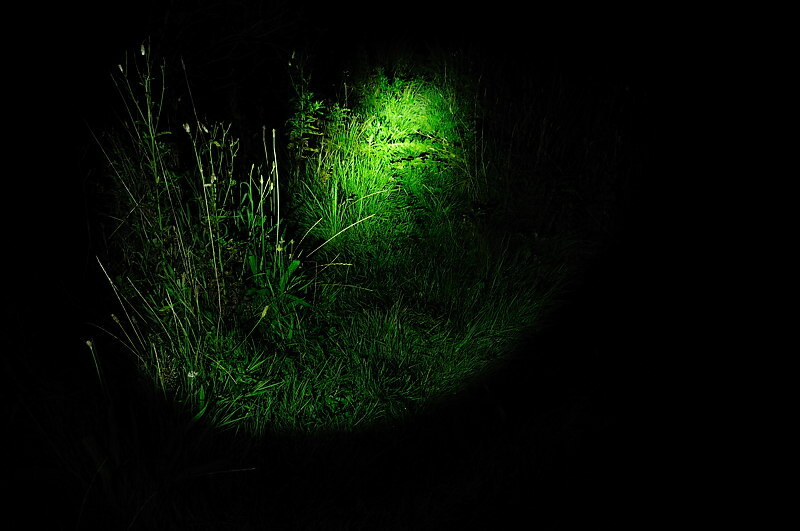 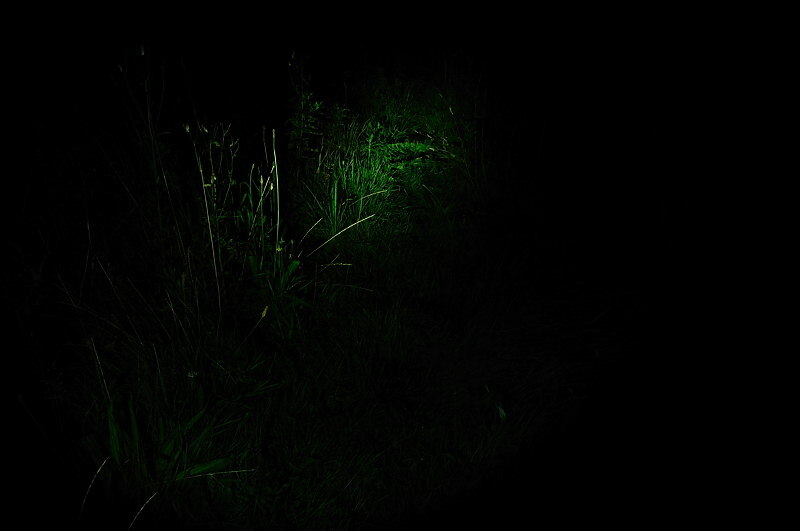 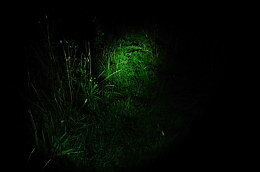 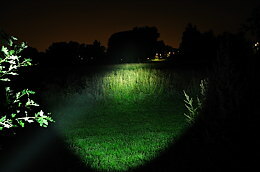 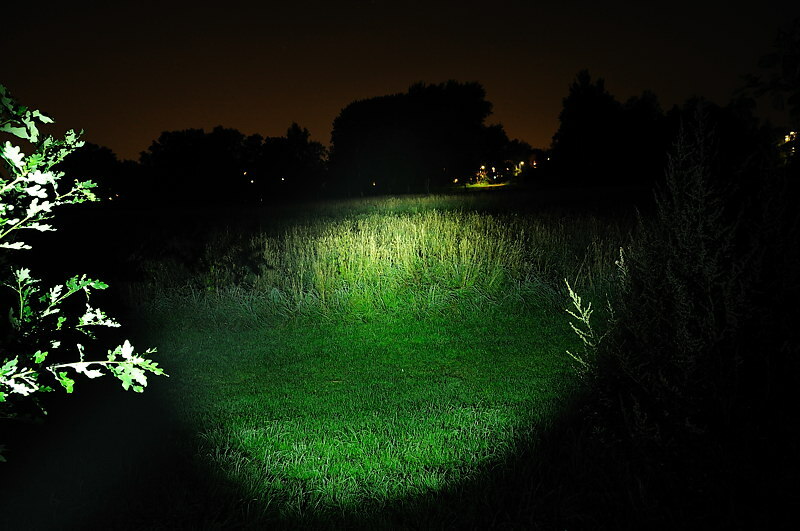 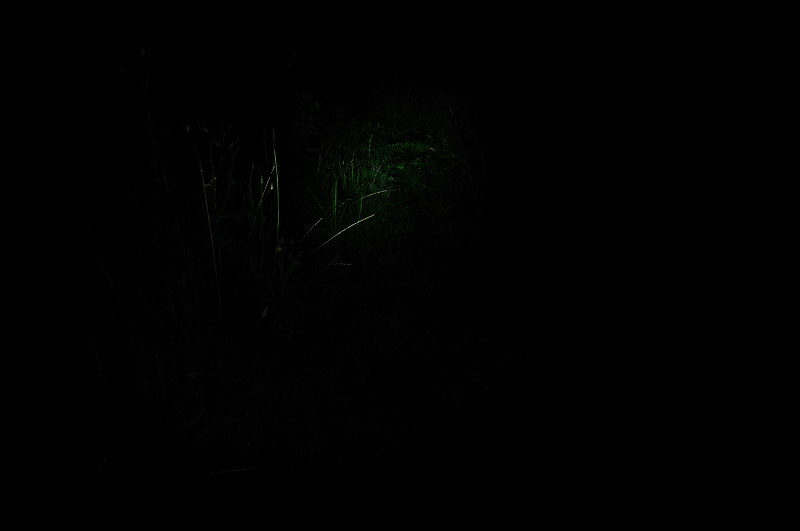 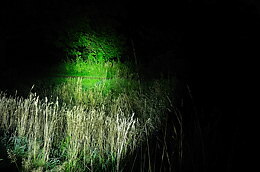 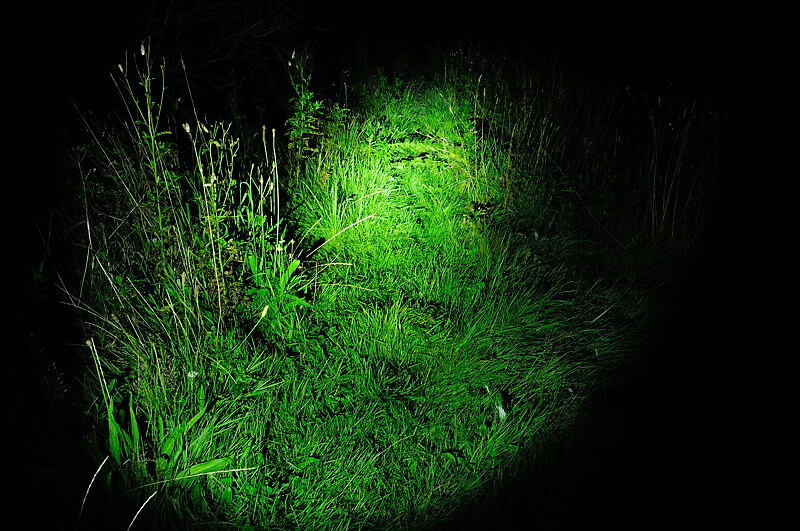 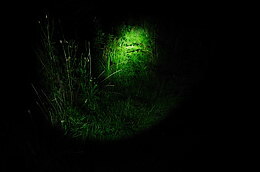 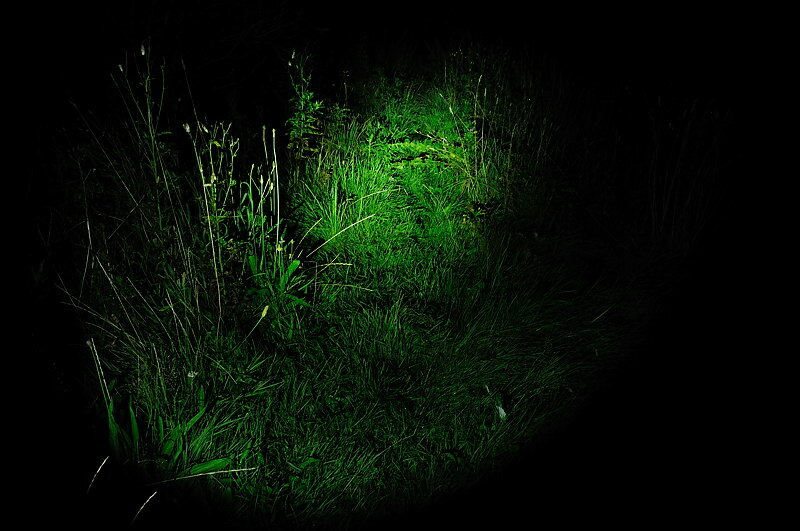 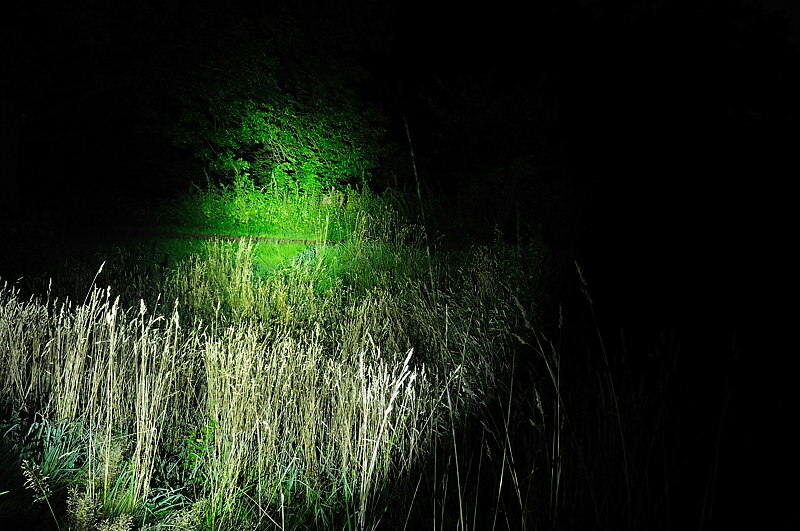 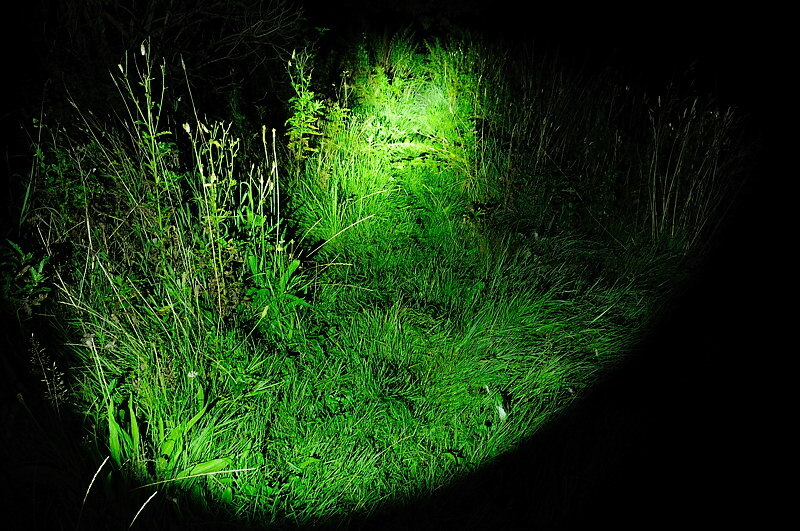 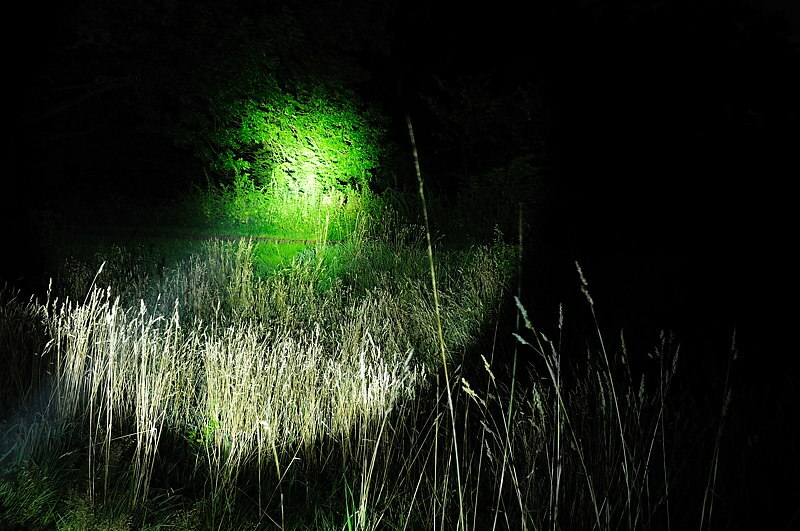 This collection of beamshots includes lights from below 400 lumes to about 800 lumens, with the exception of the M20 S2 all the lights uses the XM-L led. 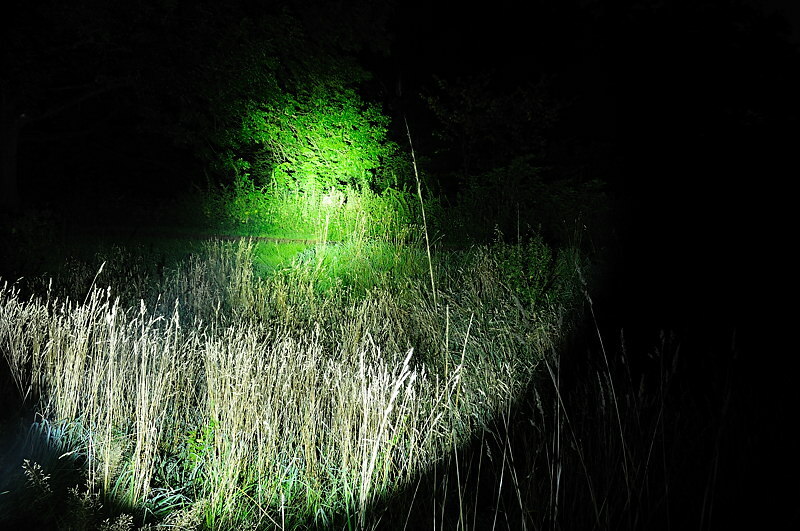 The following lights are included (Same sequence as pictures): Olight M20S S2, M20 XML-U module in M20 Titanium body, Olight M21-X, Olight SR51, Fenix TK21, Fenix TK35, ThruNite Scorpion, ThruNite Catapult V2 XM-L, JetBeam BC40, JetBeam PA40, Balder BD-4, Eagletac M3C4 XM-L, Sunwayman V20C.  The M20 Titanium was used as a host for testing the XML-U module. This is the total light output measured with a ceiling bounce. 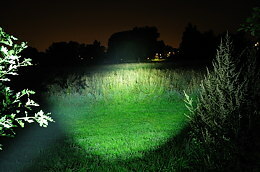 The lights with two 18650 batteries has the highest output. 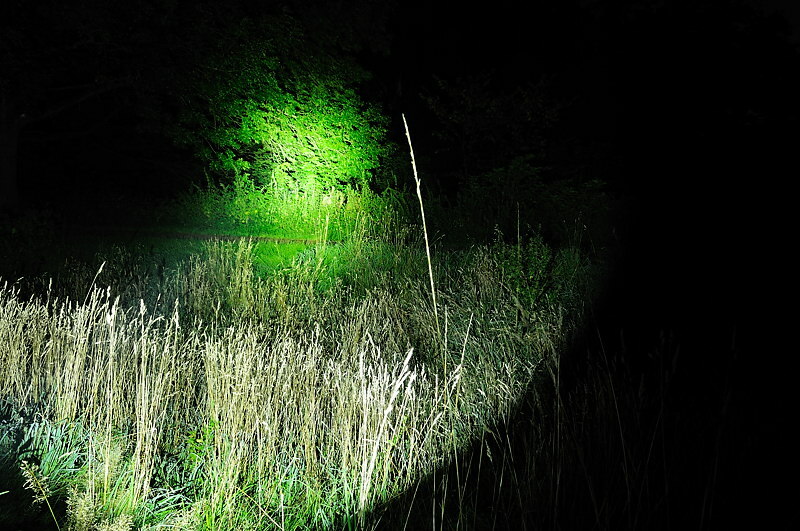 The lowest output is from the M20 with XP-G led, but the XM-L upgrade module for that lights is not much better. A few of these lights has a very low mode. Lights with 3+ modes does have a large range in brigthness, the two level light are more limited.  Here I have measured lux at 4 meters to get a estimate of throw. A large reflector does improve throw, a high lumen output will also help, but it not enough. The batteries has a large influence on weight, but with these light there is also some significant difference in construction that influence the weight. In this table I have tried to collect the key features of each light.  For the user interface I use the following abbreviations: TS: Tail switch, ETS: Electronic tail switch, ESS: Electronic side switch, Head: Loosing/tighten the head is used in the ui, Ring: a ring is used to select mode, Tail: The tail is used to select modes. 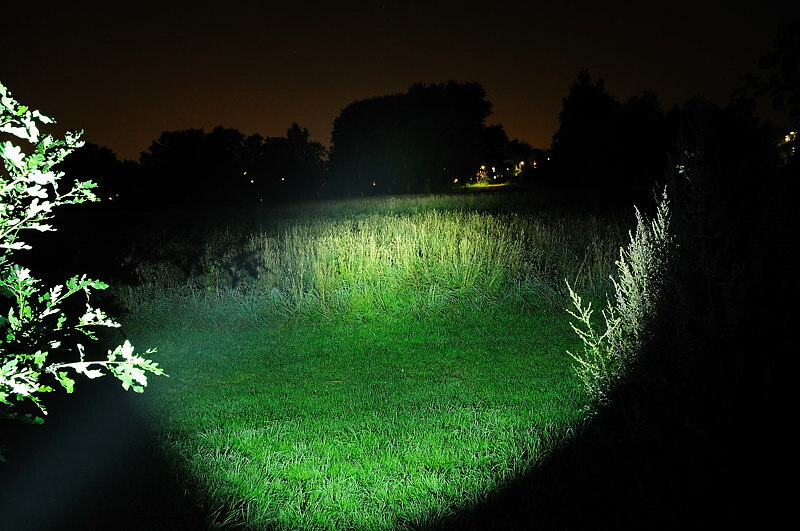 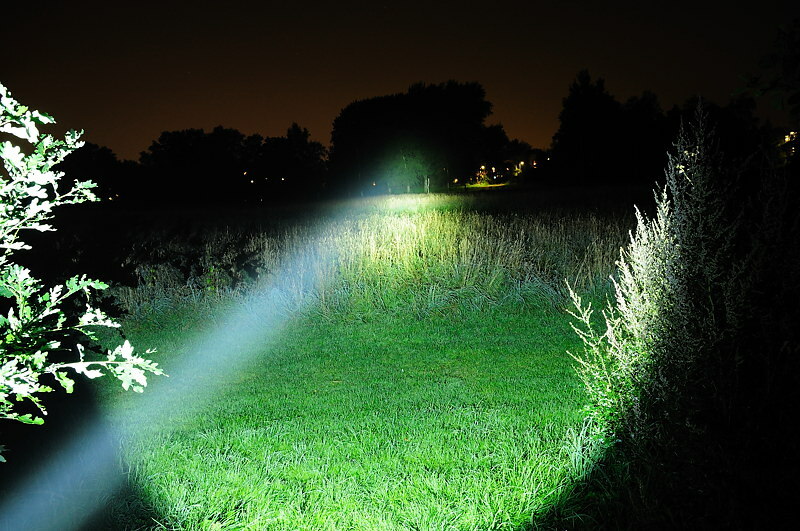 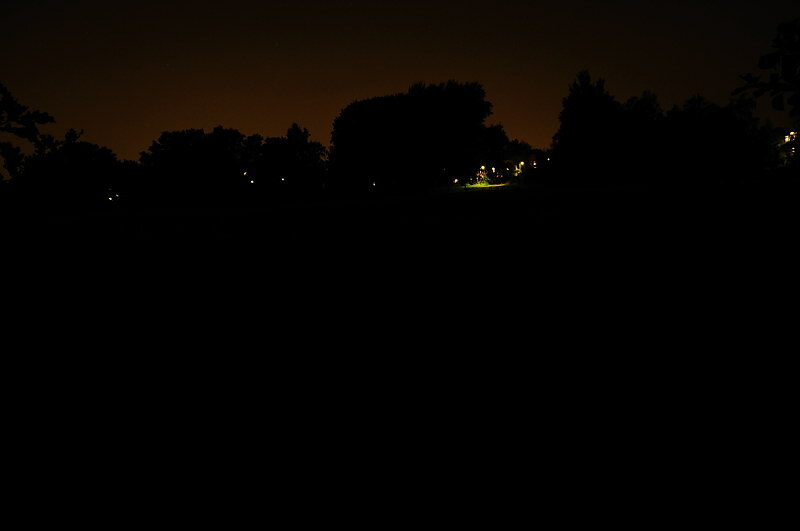 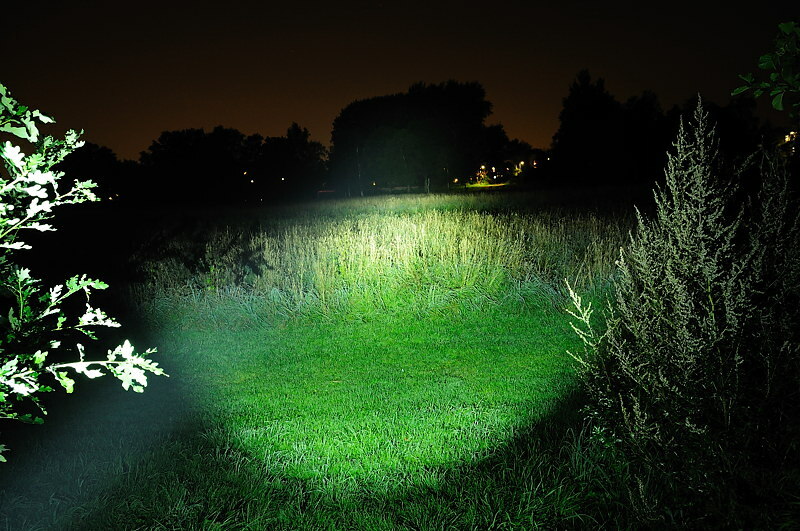 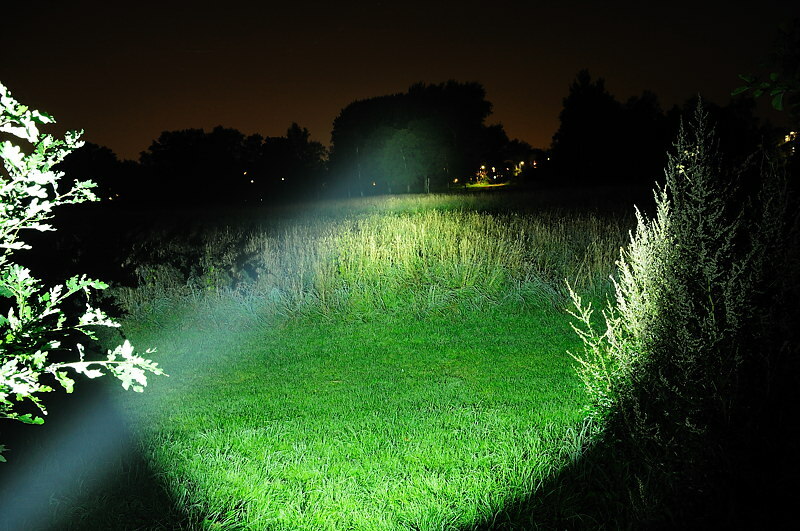 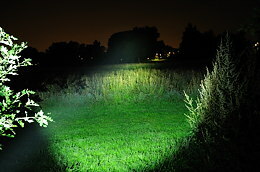 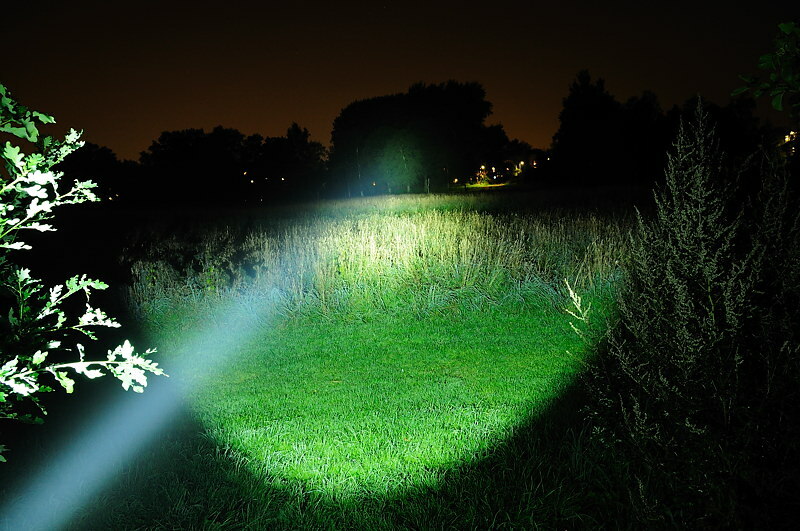 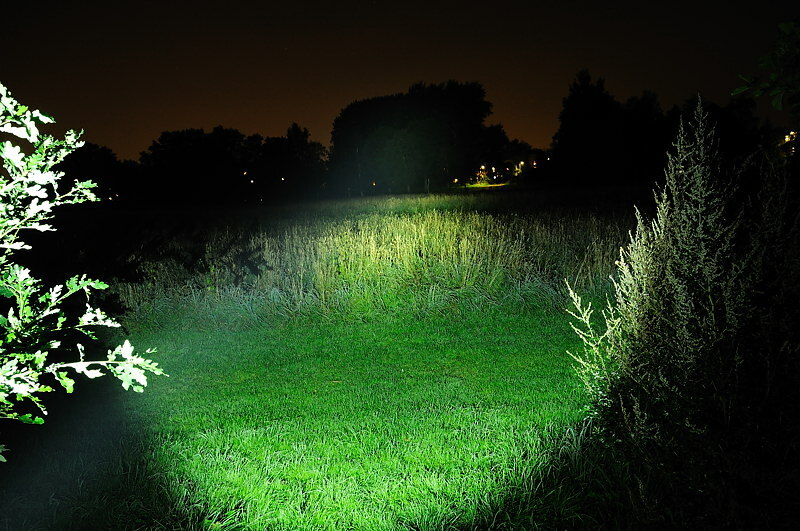 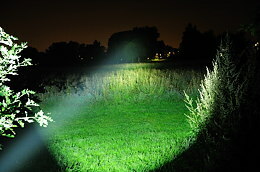 This light uses a ring to adjust the brightness, the beamshots shows the minimum and maximum positions of the ring, any brightness level inbetween can be selected. Most of the small beamshot pictures can be clicked for a larger version. 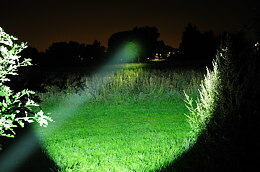 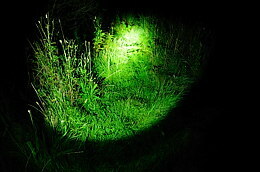 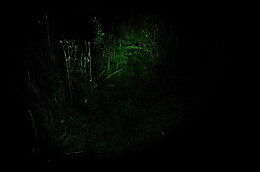   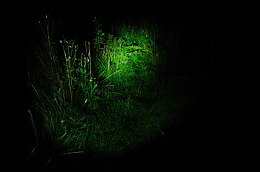 To compare beamshots, open the larger picture in different tabs, then switch between tabs to see the difference.